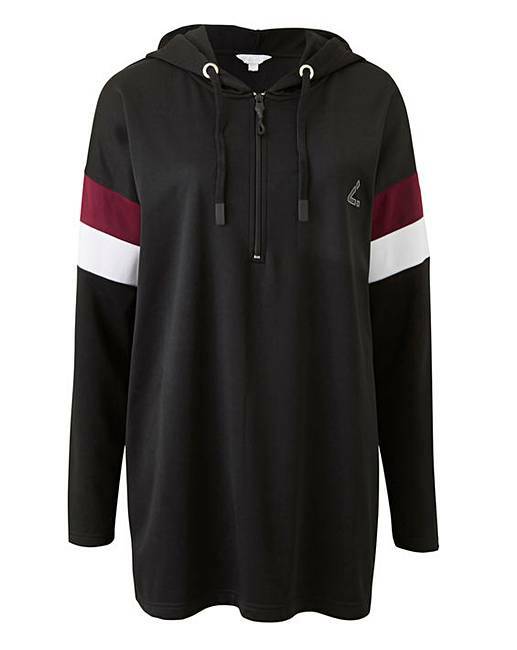 Capsule Leisure Longline Hoody is rated 3.8 out of 5 by 4. 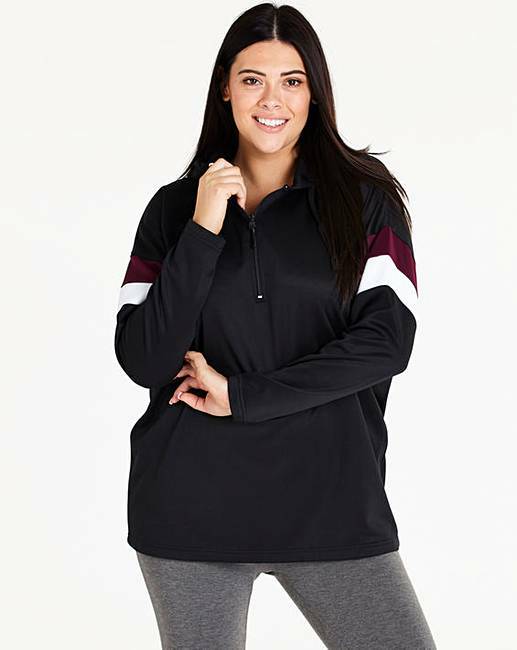 This long-line hoody is made from super-soft fabric and is perfect to pair with our leisure leggings or joggers. 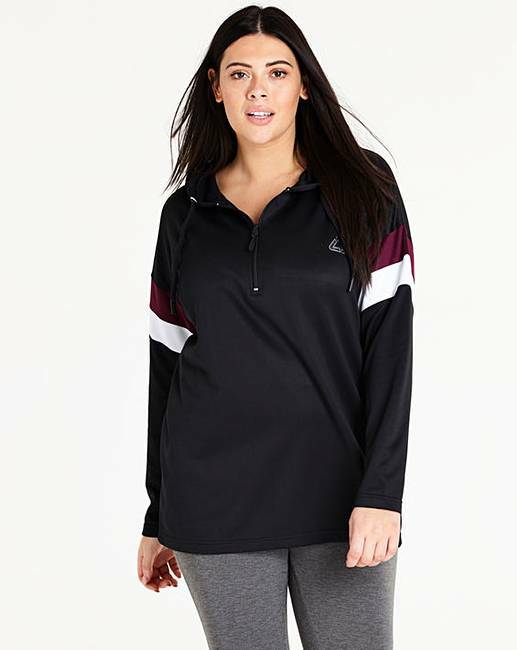 Featuring stripe detailing on the sleeves and a functional hood, this will quickly become your go-to leisurewear piece. Rated 4 out of 5 by Hazzer from Nice hoody but not Longline Feels nice on and is warm but definately NOT longline. I was expecting it to come down past my hips but sits just below the waist which was disappointing, as have been looking for a truly longline hoody top for some time. Rated 3 out of 5 by Bushka from Not really Long Material has a nice feeling to it. Very wide fitting, could have gone down a size but then the sleeves would have been to tight. Not longline at all, picture is very misleading. Ok for lounging around the house in but would not wear it out. Rated 5 out of 5 by Bollysweetie from Feels and looks good! This top is ideal for yoga in a cool church hall! It's fleecy inside, a lovely flattering fit and covers all the bits I want to keep hidden as it is a good length. I'm ordering another one for comfy wear in the house.